Quickly, off the top of your head – what’s the most important factor in your daily corrosion industry safety work life? It’s Y-O-U and Captain Obvious—what a Dynamic Duo! Safety managers train you. Regional managers establish procedures and rules. Clients require certain clothing. Your supervisor warns you. But the bottom line is: No program, sign or protective equipment will work if YOU elect not to make safety an intentional part of your daily work life. Make no mistake, every job must finish safely. As soon as it doesn’t, safety becomes the MOST IMPORTANT measure of the job; and you become the yardstick. Let’s review some simple ways for you to practice safety at every job every day. Check your work area frequently. Look around and listen up! Use your senses to prevent a safety event (and you already do it all day every day). What do you see, hear or smell in your work area? Mobile equipment in use? Materials being moved? Walking area slippery? Cords or ropes in your path? Trash not discarded correctly? Machine making a ‘funny’ noise? Do you smell hydraulic fluid? Observe how your work area changes during the day. Let those working around you know about the changes. Take an active role in making your job site safer by helping to make others aware of the little changes. Sure, you might sound like Captain Obvious. So what? When it helps everyone go home at the end of the day with nothing but a fatter wallet… then THAT’S a good day! All MATCOR employees abide by our Stop Work Obligation. Every employee at our job sites has an obligation to intervene and stop work when a situation gets identified that could break one of MATCOR’s Life Saving Rules or cause injury or illness. Electricity and equipment. Both start with “E” and both kill. Here’s another one from Captain Obvious. Check your electrical equipment every time you use it. Drills, grinders, reeling machines and irons. If it has to be plugged in or charged, there’s the potential for a cracked case, frayed or cut cords or a short somewhere. Make a quick inspection for wear and tear, and intact strain relief and connections. For larger equipment, like Pipeline Current Mappers, generators or interrupters, take the time to read the Operator’s/Owner’s Manual at least once before you running the machine. If the manual isn’t available, ask someone who has used the machine for a quick rundown. Wide open and burning hot. Many times when we hear about a workplace fatality, it involves some kind of fall…in a hole, from heights, or something falling on a worker. Considering the kind of work we do, every worker needs to be aware of 1) what he or she might fall over/into; and 2) what might fall onto him or her. Falls aren’t always fatal, but often workplace fatalities involve falls. Here comes Captain Obvious, again. Be aware and make others aware of anything that might make you fall; or that might fall on you. Another situation that could burn us on a job site is fire (sorry for the bad pun there). Anywhere there’s machinery, combustible chemicals, or cad welding, the possibility of fire exists. Open flame, especially on a pipeline right-of-way could turn an ordinary day into a hot time that no one wants. Knowing what to do in the event of a fire at EVERY job site makes sense. Where’s the extinguisher? Do you know how to use it? What about the escape route from the site? Yes, you and your crew should create and review the emergency plan at each job site. After all, knowing the best direction to run IS an emergency action plan. Where IS that first aid box? Calling Captain Obvious… Do you know where the first aid kit is in your work area? Can you get to it quickly and easily? When was the last time you checked to see if it needed to be restocked? Though you may think that’s someone else’s job, it will matter most to you when you need to remove a splinter, bandage up a cut or treat a burn. Remember, we’re talking about how Y-O-U have the most important part of job site safety. If the first aid kit isn’t ready and available when you need it, the problem isn’t someone else’s. Check the first aid kit. Corrosion Industry Safety: The last line of defense. If we can’t engineer a hazard away, we write a procedure to protect you from it. When engineering or administration doesn’t quite eliminate a hazard, you get personal protective equipment (PPE). Here’s the rub. If you choose not to wear PPE, it doesn’t protect you (OMG, Captain Obvious snuck right in there). Hard hats, safety glasses, gloves, or earplugs might be uncomfortable. Then again, so are skull fractures, blindness, amputations and deafness. PPE may be a last line of defense when it comes to corrosion industry safety, but that makes it no less important. Make sure you don it every time on every job…and speak up if your co-workers need to be reminded. Workers need to take care at all times and at all job sites. No matter how many machines have guards, or safety policies the company writes, Y-O-U have the biggest impact on your safety. Awareness of your work space, inspecting your tools, knowing how to get out in an emergency or where to find the first aid kit are all factors in YOUR control. You make decisions every day that impact how, or if, you and your crew go home. Will it be with a fatter wallet? Or will it be with stitches, or in a cast or worse? Captain Obvious knows. 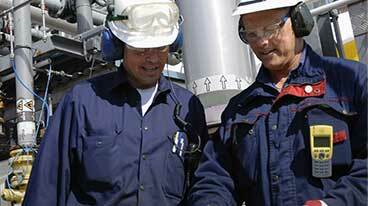 MATCOR takes corrosion industry safety very seriously and maintains an excellent safety record. Learn more about MATCOR Safety Programs or contact us for additional information. Pipeline cathodic protection industry received a boost this week: proposed high-volume natural gas pipeline construction across 3 Southeastern states. Spectra, the company behind this jolt of economic opportunity, has dubbed it the “Renaissance Project”. 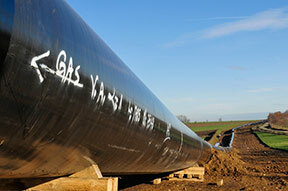 The natural gas pipeline proposes several lines branching off the main pipeline to potential customers along the route. The pipeline is a complex project and will require a number of business services such as pipeline cathodic protection. MATCOR’s pipeline protection program uses a number ISO 9001:2008-certified solutions to protect such a project. For example, MATCOR’s SPL™-FBR linear Anode and Durammo™ Deep Anode System would help lower total cost of ownership on the pipeline. The proposed pipeline is almost 300 miles with three different pipeline diameters. The natural gas pipeline will feature two compressor stations to maintain line pressures, according to officials. It was stated the line will have a capacity of 1 billion cubic feet per day, and can be expanded to over 1.5 billion cubic feet per day. Spectra plans for the pipeline to run from the Chattanooga, Tennessee area, through Alabama and towards the Atlanta, Georgia area. “We are continuing to work with multiple potential customers to design a project to fit their supply demand needs,” Grover said in a statement on the project. Furthermore, Spectra executed letter of intent with the AGL, the parent company of Chattanooga Gas Co., and Atlanta Gas Light Co.to explore a joint arrangement for local distribution. Sources close to the matter state the “Renaissance Project” could be up and running by mid-2017. “From a project kickoff standpoint, we continue to reach out to federal, state and local public officials informing them of the project,” she said. “We’ll send letters and start contacting landowners along our proposed study corridor pending further market feedback.” Grover stated Spectra the Renaissance Project study corridor map is in the final stages. Currently, the map highlights 15 counties across Tennessee, Alabama and Georgia. Economic groups across these states laud the move as one that will stimulate the economy and bring jobs to the region. “It’s going to be a good project and the infrastructure for natural gas is such that, industry-wide, there’s a great demand for it,” one source familiar with the matter said. Experts familiar with the project say it is a crucial move to support industrial expansion and business growth in the region. The Renaissance pipeline is indeed poetically named. The Southeastern region has recently seen improvements to its economic state and industrial competitiveness. However, key investments such as the natural gas pipeline and other infrastructure must be put in place to attract jobs, manufacturers and families into these committees. That said, the pipeline is a key cog to the continued rebirth of this region. MATCOR and other service providers will be stewards of this bright future, protecting valuable assets that power communities. MATCOR is a leading provider of ISO 9001:2008-certified cathodic protection for pipelines and cathodic protection management. 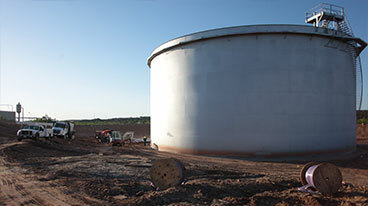 Our team maintains the highest quality standards of cathodic protection for systems for storage tanks and other products that let you focus on your business operations. When calling 811, homeowners and contractors are connected to their local one-call center, which notifies the appropriate utility companies of their intent to dig. Professional locators are then sent to the requested digging site to mark the approximate locations of underground lines with flags, spray paint or both. Striking a single line can cause injury, repair costs, fines and inconvenient outages. Every digging project, no matter how large or small, warrants a call to 811. Installing a mailbox, building a deck and planting a trees and are all examples of digging projects that need a call to 811 before starting. 811 is a free, FCC-designated national one-call number that connects a caller from anywhere in the country to the appropriate local one-call center. The one-call center will then alert the appropriate underground facility owners so they can dispatch locators to mark the approximate location of their lines with paint or flags. How can you celebrate 8-11? Learn more about 811. Make a promise, and make a difference. Visit http://www.the811promise.com for further details.